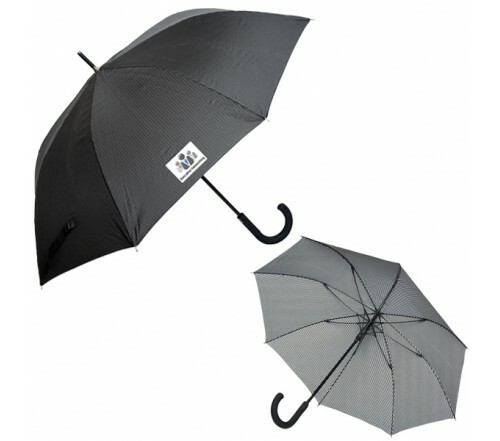 Shine above heads through these customized 46 inch arc executive pinstripe umbrellas! 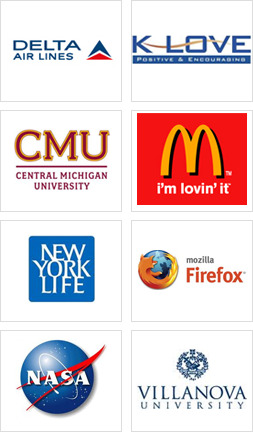 Although many may dismiss it as a regular promotional umbrella, but it offers long term visibility to your business messages. 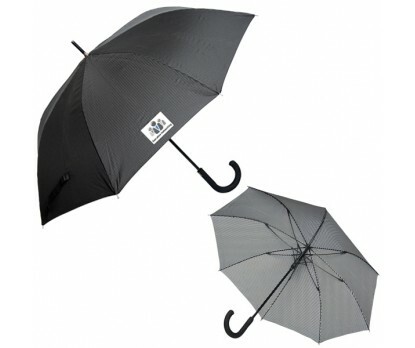 This executive pinstripe umbrella can be easily contained within bag, pockets or purses with ease. 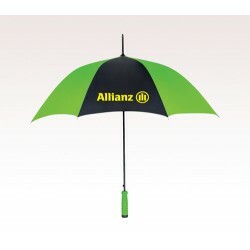 Attractive price savings and many other value benefits can be availed by bulk ordering these umbrellas from us. You can hand them as an individual gift or as a compliment with special late summer purchases. 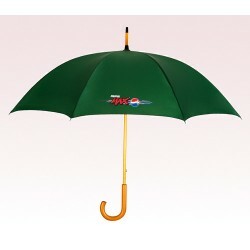 Request a quote to know what you may save on bulk ordering these custom 46 inch arc executive pinstripe umbrellas. Features – 23” rib length. 46” arc. 190T Polyester. Rubberized curve handle. Fiberglassframe and shaft. Automatic Open. Metal top and tips. Velcro tie closure. Imprint area - SP PP PS – 8.5” W x 8” H (panel). Colors Available – Black with white pinstripe. 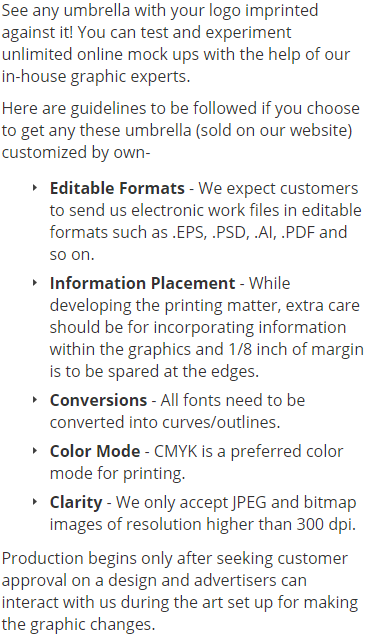 Imprint Method – Screen Print, Transfer Print, Perfect Print, Personalization, and Perma Press. 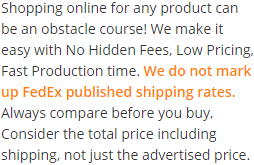 *Imprinted price includes one color in one location unless otherwise specified above.